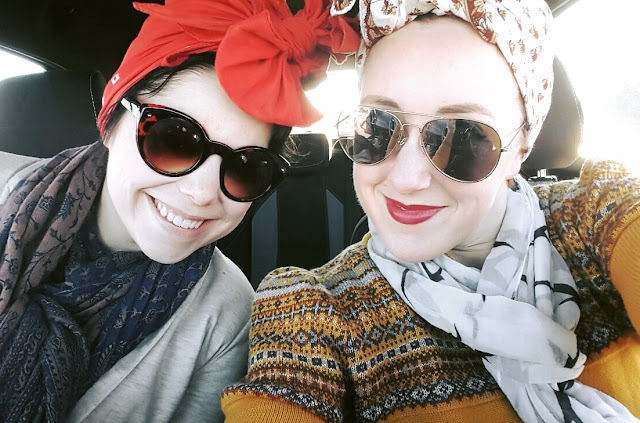 This December, we are headed to New York City for another holiday work trip in my favorite city for vintage fashion. Of course this means I'm already pondering my wardrobe and the weather. It's going to be cold, so break out the tweed suit, the cashmere coat, and that cute-as-heck little knitted elf hat I got last winter. But naturally I want something new to look chic in while representing Royal Vintage at our first footwear trade show, FFANY (Fashion Footwear Association of New York). 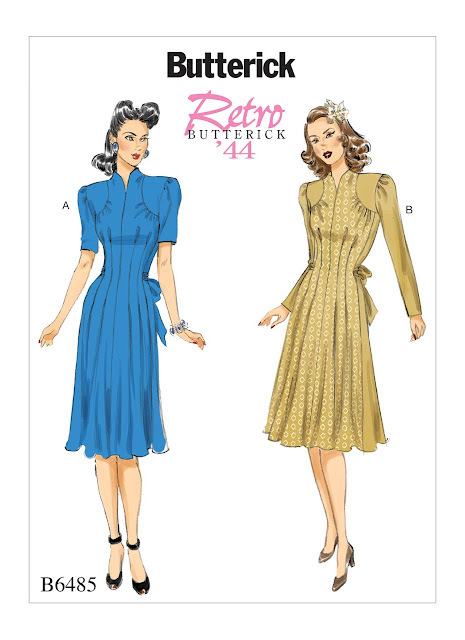 I recently picked up this new pattern from Butterick, a 1944 retro re-issue, B6485. Initially the pattern illustrations didn't attract me. It looked overly complicated and "meh," but I was completely seduced by the sample garment shown on the model, and quite impressed by the quality and sensitive styling Butterick did for their cover shoot. Sold. Butterick B6485 pattern illustration - "meh" said I. I wasn't excited by these drawings, but the sample garment shown on the model is gorgeous. I hope it will look as good on me. Butterick B6485 - adjustability in the back with a tie. I initially thought of wool crepe in something striking like powder blue or burgundy, but I wasn't able to find much (which is typical for 100% wool crepe). Instead, I went with another very-vintage textile, 100% rayon challis in a sophisticated medium grey, which is also a great neutral for strong-hued accessories in a variety of colors. So this will be my NYC 2017 dress. I've been itching to make another 1940s frock for awhile and I'm excited to get started. More updates soon! Oooh, this one is pretty! I was doubtful about it until I saw the ties - I might just have to try it - to go with my NEW Marilyns!!!!! :D Can't wait to see this one on you! Those ties were a major selling point for me too! I cut this tissue out last night and I noticed there is a *ton* of ease in the pattern, which I suppose it better than none at all, so I'm making a muslin to test it out first and work out the fit, especially the shoulders.